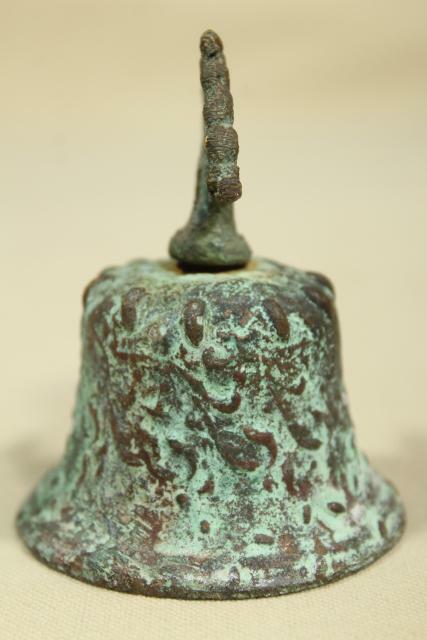 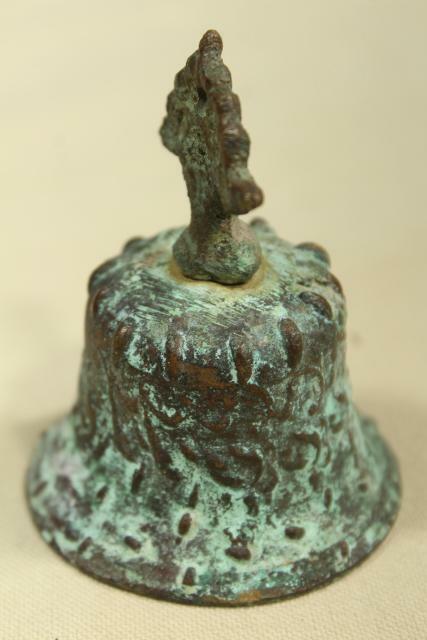 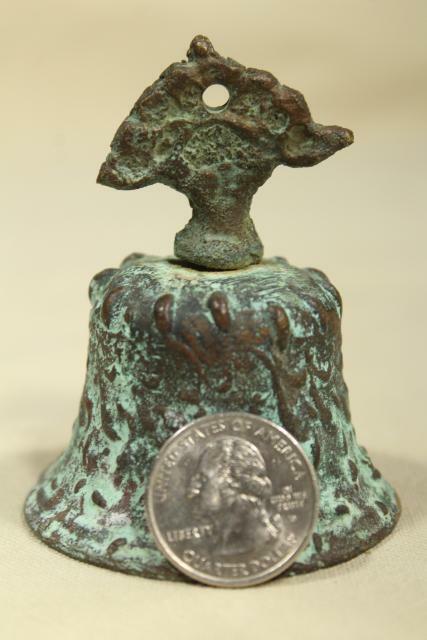 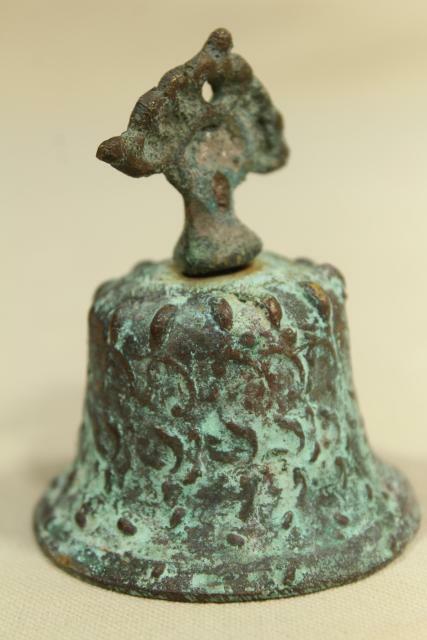 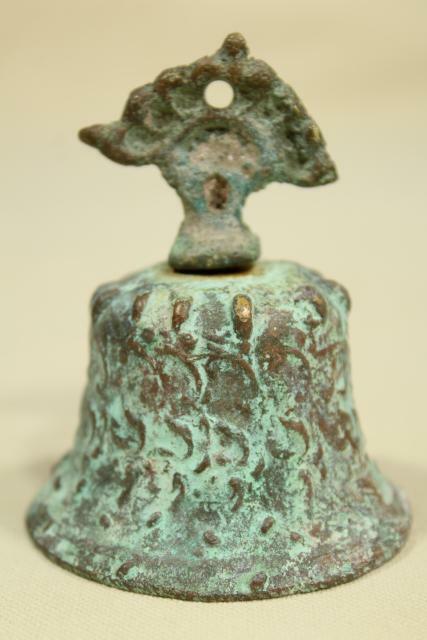 Solid brass or bronze bell with an ornate allover design, about 3" tall, 2 1/4" across the bottom. 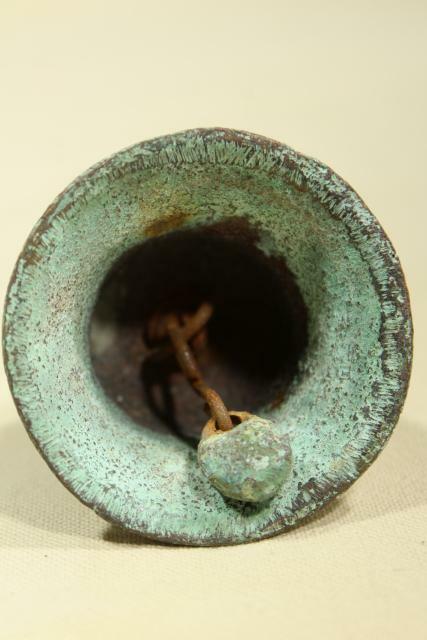 This has a beautiful clear sound, so you can actually use it as a bell. 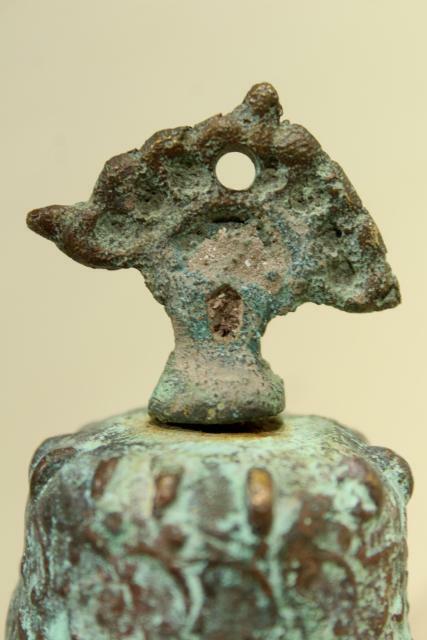 This doesn't seem to be marked or signed that we could find, and I don't know anything really about it's exact origins or vintage. 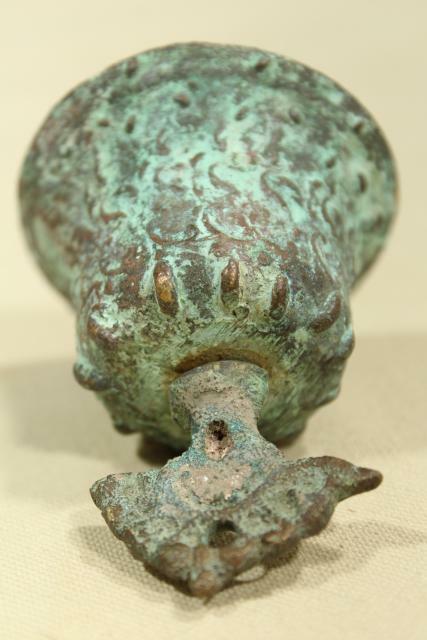 But we love the rough casting, and the heavy layer of verdigris.